Andhra Pradesh, Tirumala, July 31: Telangana Home Minister Naini Narasimha Reddy has visited Tirumala Tirupati Devasthanam here on Monday. He visited the temple along with his family members, The Tirumala Authorities have been welcomed the minister during the Line VIP darshan. The priests have blessed the Minister and also family members. After that, speaking on the occasion, Minister said that, He prayed that the Telangana Govt should continue to be consistent, adding that the Telugu States of the people should happy. He also prayed that both the states should develop in all sectors. He also comments on the drug case that Law will take its course. Kolkata, July 31: West Bengal Chief Minister Mamata Banerjee on Monday slammed the BJP for the hike in the price of subsidised cooking gas by Rs 4 per cylinder every month, accusing the party ruling at the Centre of not caring for the people. "I am really concerned about the commoners. Earlier, subsidy was withdrawn on LPG and now again. The BJP does not care about the people," she tweeted. The Trinamool Congress supremo accused the Bharatiya Janata Party of making public commitments and then going back on them. "They only care about money. How can the BJP not carry out their social obligations? Where is their commitment to society at large? The BJP makes public commitments and then deviates from all," she said. The Centre on Monday ordered state-run oil companies to raise subsidised cooking gas price by Rs 4 per cylinder every month to eliminate all subsidies by March next year. * Spend 45 Minutes of time during weekends for a healthy life. * Choose any of the activity such as Yoga, Cycling, Swimming or any other exercises. * Spend some quality time outside by walking in the parks. * People can join group fitness clubs. Follow the above tips so for good health. Gilgit people protest against CPEC:smtv24x7 Gilgit, July 31: A protest took place recently. People in Gilgit-Baltistan yesterday have protested. * They fear it would create a huge ecological imbalance. * Many people have lost their properties because their houses have been demolished and farm lands were acquired for the project. * The government has not compensated them for the acquittal of properties. * No Special Economic Zone has been set up to support the local residents. * The demography of the region will be changed. * The glaciers would melt and many wildlife animals would become extinct. Finally, they hope that Government reconsiders their decision to allow China to build such project. Philippines July 31: A shocking incident took place recently. Philippine National Police and Criminal Investigation and Detection Group (CIDG) have raided the homes of alleged illegal drug personalities in Ozamiz City in Misamis Occidental. The raids of the police have resulted in the death of 12 people. Ozamiz City Mayor Reynaldo Parojinog and his wife Susan and brother Octavio Parojinog were dead.Sources say that mayor has been killed after police have opened fire. Police have arrested Ozamiz City Vice-Mayor Nova Princess Parojinog Echaves were arrested after the raid and have seized high powered firearms and ammunitions. Let's hope that these incidents don't happen in future. Mumbai July 31: A company has revealed its property details. * 33 % of prime land holdings of the company have a worth Rs 65,000 crore. * The book value of the total land assets stood at Rs 975 crore decades ago. * Currently the company holds 15,000-odd land and building assets. * KPMG has done the reassessment of the assets of BSNL using the 'fair value' method. * The company has registered a net loss of Rs 3,880 crore in the year 2015-16. 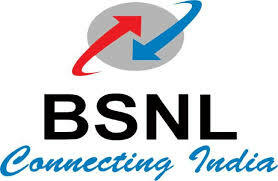 * The land worth of BSNL Corporate office has been valued at nearly Rs 2,500 crore. Jaipur, Lucknow, Chennai, and Kolkata. Mumbai, July 31: A shock has been received. State Bank of India today has announced a key decision. *Interest rate on savings bank deposits have been reduced to 3.5 % for deposits below RS 1 crore. * Currently 4 % Intrest would be obtained when a person deposits amount below RS 1 crore in his savings account. * The interest rates for deposits above RS 1 crore has not changed and will continue to earn 4 per cent interest. Experts say that the bank has taken this decision because of lower inflation and high real interest rates and they expect that many banks will follow the suit. The bank has said, "there has been a significant outflow of the current account, savings account deposits post-demonetisation so we have decided to cut the interest rates". New Delhi July 31: The political equation will soon change. Rajya Sabha. Currently, there are 243 members in Upper house and governments requires 122 members to pass any bill. * Total strength of NDA is 79. * JDU is back in the alliance so total strength goes up to 89. * BJP will win 2 seats in ongoing elections of Rajya Sabha. together have 26 members and would vote for the government. * 4 nominated members would also support so total to 121. * Recent win in Uttar Pradesh would also give a boost to the government. Let's hope that government utilizes this opportunity so that key bills are passed. New Delhi July 31: A famous scandal has once again re-emerged. Sources say that Supreme Court would soon reopen the Bofors corruption scandal.The scandal took place in 1986 and the were reports that huge amount of kickbacks were offered for securing a defense deal. Recently Republic TV founder Arnab has exposed the truth behind the scam by interviewing Swedish Cheif Investigative Officer Sten Lindstrom and he has revealed Shocking details. Officer has said that Rajiv Gandhi has planned a financial quid pro quo and he was directly involved in the corruption scandal. Experts say that Supreme Court would hear the case once again amid the fresh developments taking place. Sources say that Top court would take up the case after it gives a verdict on right to privacy case. New Delhi, July 31: Indian Railways Station Master Kumar Shukla has helped the passenger here on Sunday. He retrieved a gold chain after from poop after filed complaint by the passenger. The officer, got a call on July 16, informing him that a passenger had dropped a gold chain in the toilet of a train passing through his station. "I rushed out when a passenger stopped the train and said he had dropped his gold chain into the toilet and wanted us to find it," said Shukla. 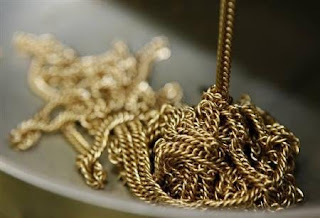 The gold chain weighed 50 grams, said its owner, Dr Chavan Patil, an orthopedic surgeon, and was worth Rs 1.5 lakh. "It is a lot of money to flush down the drain," said Patil, who was traveling from Nonand to Manmad in Maharashtra by the Maharashtra Express on July 16 and dropped his chain while changing his shirt at the Yeola station, which falls on the Ahmednagar-Manmad rail route. New Delhi July 31: A notification was issued. Common Admission Test (CAT) 2017 notification has been released.Currently all students must qualify CAT exam to get an admission into Indian Institutes of Management (IIM) and other MBA colleges. * Last date for Registrations is September 20. * The exam will be held on November 26, 2017, in two sessions. * Test will be conducted in 140 test centers spread across approximately. can be alloted according to availability. credit cards, debit cards, and net banking. 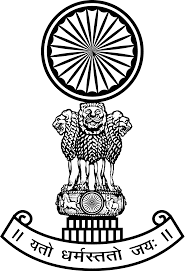 * Admit Card can be downloaded from October 18 till the date of the test. Let's hope that students perform better in the exam. Hyderabad July 31: Another Milestone has been Achieved. Hyderabad Metro Rail Authorities have completed the construction of Rail over Bridge (ROB) at Malakpet. HMRL Managing Director NVS Reddyhas said that we have completed "The main span of Malakpet Metro ROB covering a length of 164 feet in just 25 days this month and this is a new record in the country in ROB construction". He has also said that we have overcome many engineering challenges.MD has also praised the engineers for completing the task of launching segments of ROB during three-hour period after midnight as permitted by railways. Officials said that Railways has granted a 3 hour block period during which train operations were suspended for executing the works. 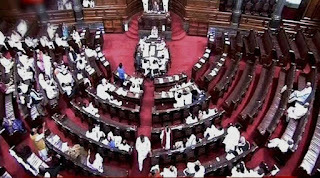 New Delhi July 31: A politician has received a shock. Arun Jaitley Union Finance Minister has opposed the Delhi Chief Minister Arvind Kejriwal's plea in the Delhi High Court. CM has filed the plea seeking details of the minutes of meetings held during 1999-2014 of the Delhi and District Cricket Association (DDCA). Kejriwal took this action in a pending defamation suit filed by the union minister against him and five other AAP leaders. Union Minister has demanded Rs 10 crore as damages from them for allegedly leveling "defamatory" allegations with regard to irregularities in DDCA during Jaitley's tenure as its President. He has also said that filing the fresh petition will delay the case and there are no reasons for filing the petition and it should be dismissed immediately. 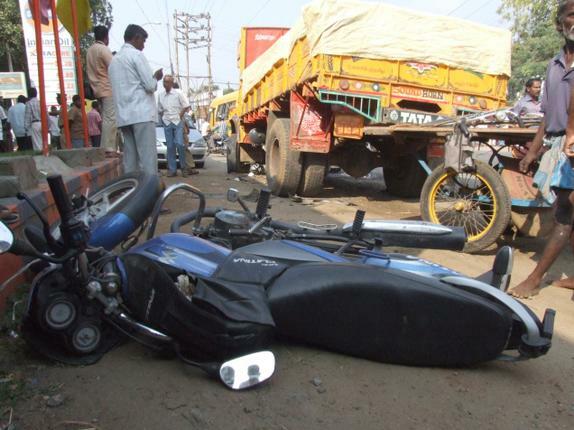 Andhra Pradesh, West Godavari, July 30: A Shocking news has emerged in west Godavari district here on Sunday. Coming to details, Two people were killed in a road mishap after the car they were traveling in plunged into a canal. Identified as Kambala Sairam and Gopichand, the deceased were residents of Vijayawada and had been on the way to Rajahmundry. Police have registered a case and are investigating.